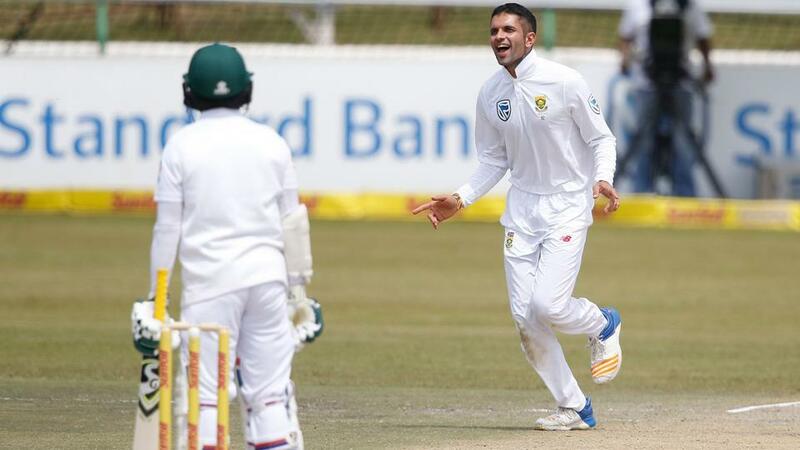 Left arm spinner Keshav Maharaj claimed South Africa’s best bowling figures since their return to Test cricket, taking nine for 129, but Sri Lanka’s 10th wicket pair added 61 on Saturday to take their side to 338 all out in the second Test. The last wicket partnership between Akila Dananjaya and Rangana Herath was worth 74 overall. But Maharaj eventually dismissed Herath caught for 35. Dananajaya ended the innings on 43 not out on the second day in Colombo. South Africa made a post-apartheid return to Test cricket in 1991. The 28- year-old Maharaj’s nine wicket haul was also the best by a visiting bowler in Sri Lanka.